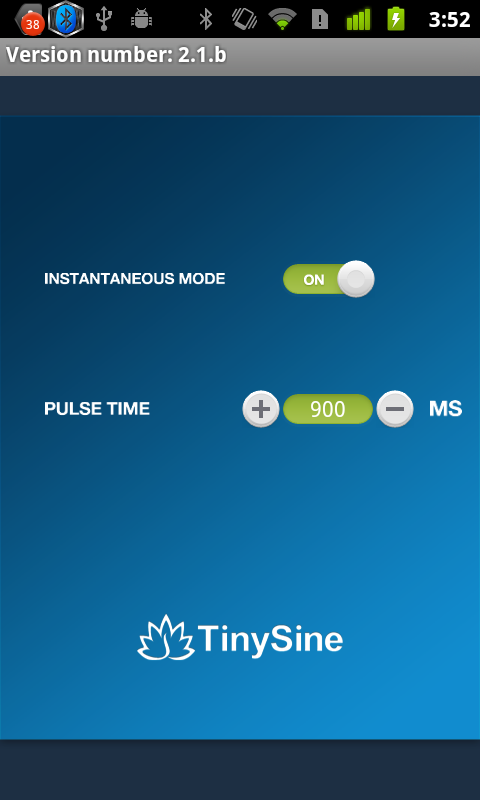 Do you want to control any electrical device on/off on your smart phone? 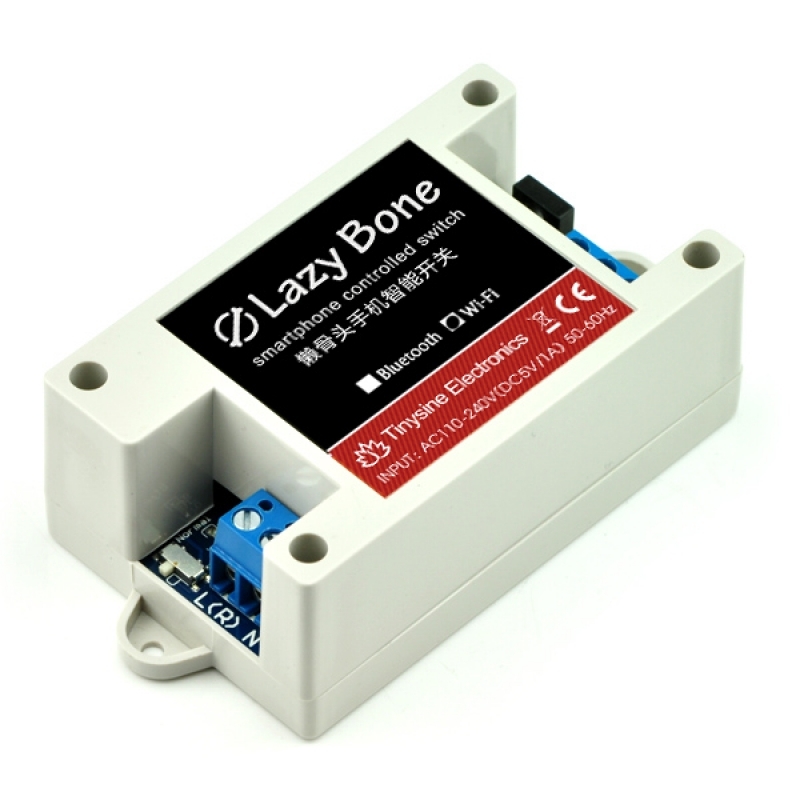 If you also have this idea, ok, this 'Lazy Bone' is exactly what you need. 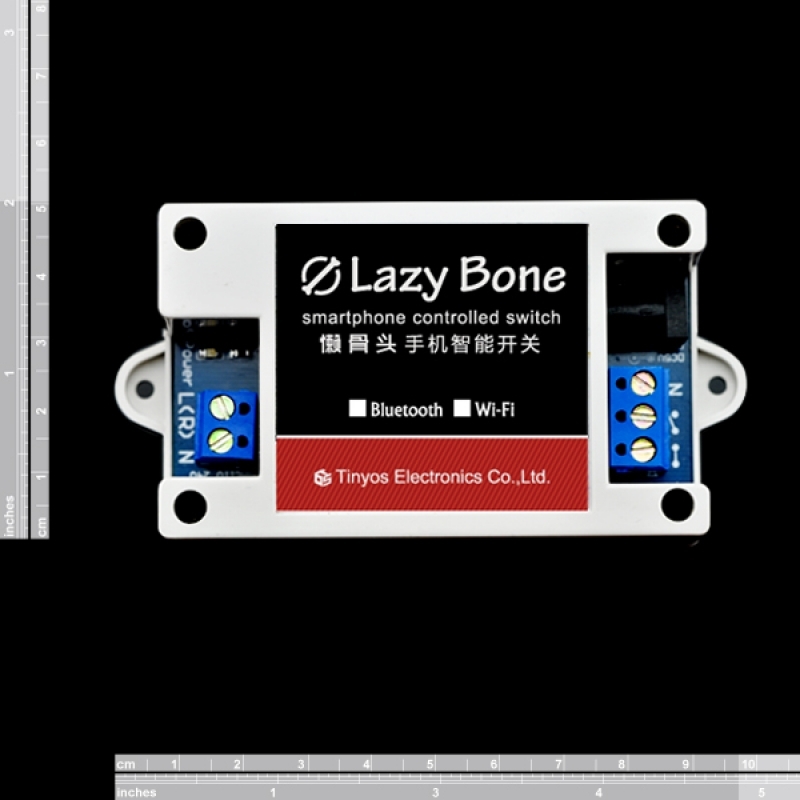 'Lazy Bone' is a new product of Tinysine Electronics, which has a good performance of stablity and it's very easy to use. It can control a lamp, router, fan and other electrical equipments on and off by the Android/IOS phone or PC. This WiFi Lazybone can also be set to the AP mode. So you can control it point to point even without a router. 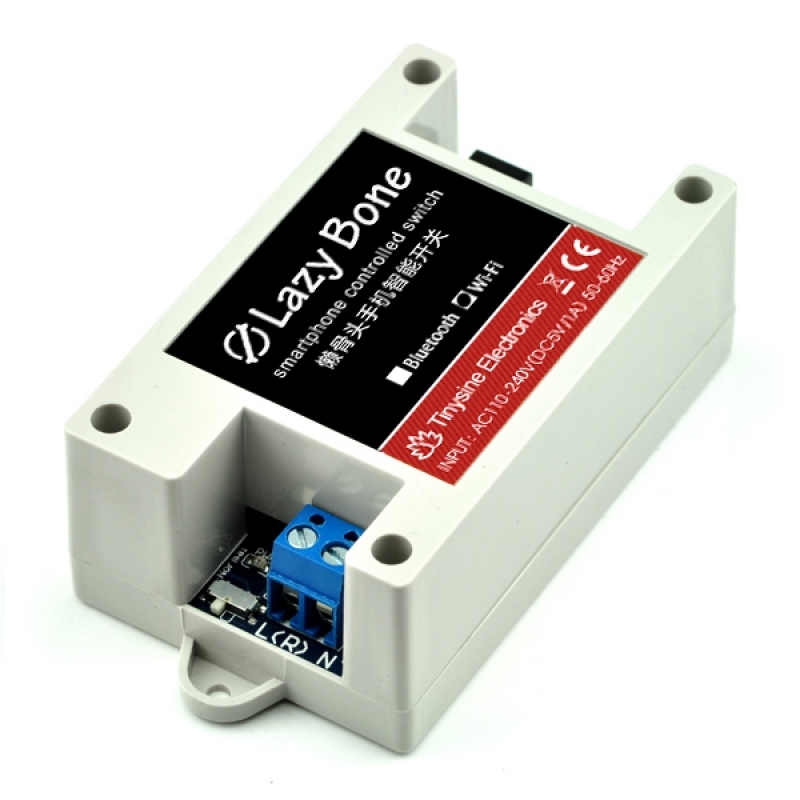 Now we released LazyBone V2 support instantaneous function. You can set your Lazybone output a 100ms-20s pulse. 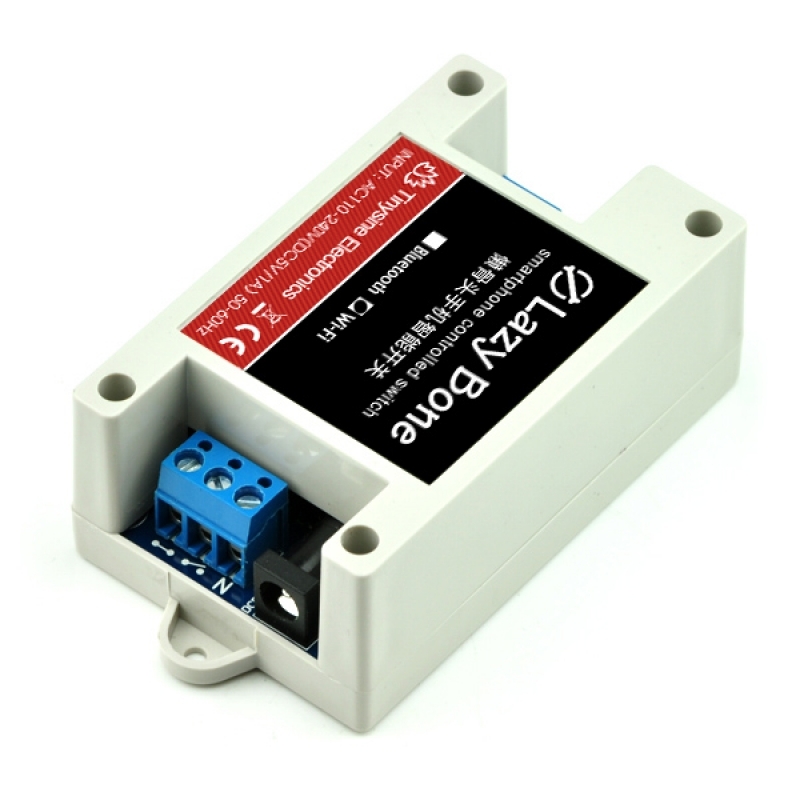 It's can be used to control your garage-door or some other equipments. It has 2 basic version: Bluetooth and WIFI. And this is the WiFi LazyBone. If you want a Bluetooth LazyBone click here. We provide free Android&IOS APP for you to control it. 1. Click the APP, if your phone WiFi is not open , it will indicate to open it. 2. Configure your Lazybone WiFi , Here is a Setting Guide. 3. 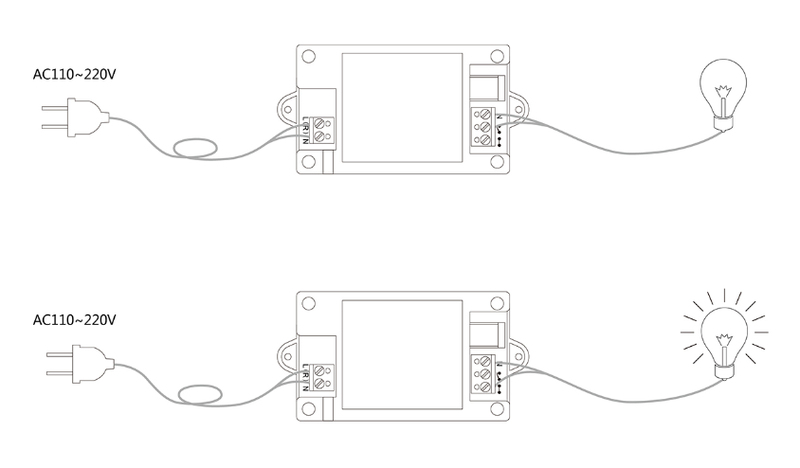 Now can control the device on/off by press the on/off button displayed. 1. Click the Modes, You will entering mode setting page. 2. You can set the pulse time (100ms-20s). And turn on Instantaneous mode. 3. Back to main page, now you click the button it will have a pulse ouput. Turn on->keeping a while->release. We also provided a very simple command set for developer developing their own APP. The Lazybone operates with an easy to use command set as described in the table below. 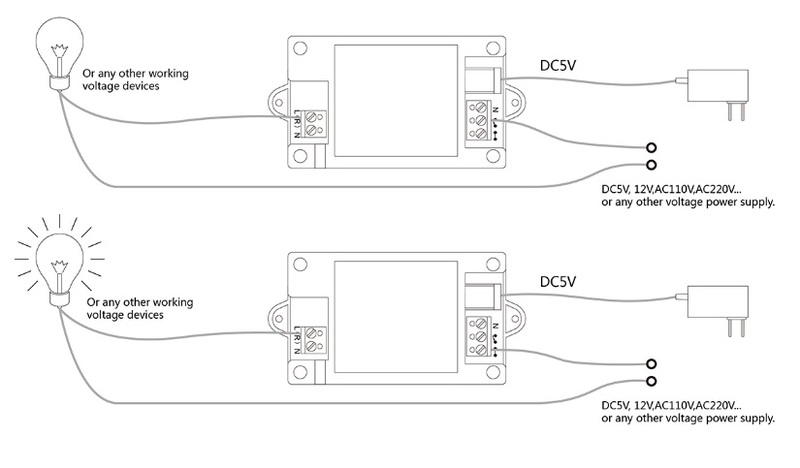 AC100-240 or DC5V working voltage.